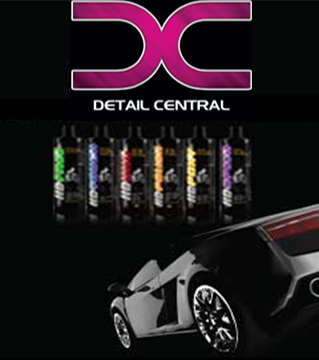 At HD Car Care, we feel that applying wax or sealants to your car should be an intimate & enjoyable experience. The last thing you want is for a wax applicator pad to marr your delicate finish. HD Car Care’s exclusive Closed Cell Red Foam Applicator Pad is extremely soft yet durable. When applying wax or sealants, it is critical to not cause marring to your freshly polished finish. That’s why HD’s Closed Cell Red Foam Applicator Pads are the right choice for even the most discriminating detailing enthusiast. Don’t take chances with other applicator pads that have pressed edges that can cause marring. HD Closed Cell Red Foam Applicator Pads offers a “rolled edge” design allowing the safest and trouble free protection experience possible. One of the greatest advantages to the HD Closed Cell Red Foam Applicator Pads is that it offers an exclusive closed cell design. These microscopic pockets within the foam’s structure allow your liquids to capsulate within the outer most layer greatly minimizing over saturation into the pad. This means that the liquids remain outside of the pad rather than getting absorbed into it equating to less product used. Soft yet stable design and 100% machine washable. Pro Detailer Tip: After using your HD Closed Cell Red Foam Applicator Pad, try spritzing HD Total onto the pad’s surface and gently massage with either your hand or by brush. This will break up any spent liquid to help with cleaning. The best foam applicators available on the market! These are the best foam applicators available on the market! These are made with the same very high quality foam as finishing pads. They are one solid piece, not two cheap pieces of foam stuck together. These last a seriously long time! They are worth every cent!